What a pleasure it is to add Kathleen Thompson's post to our archives. I've divided Kathleen's beautiful piece into her insights into Paris, Spalding University, and her writing, so you will have the opportunity to enjoy her piece and absorb her ideas over several blogs. Kathleen Thompson holds an MFA in Fiction from Spalding University. She has three published poetry books and a truckload of unpublished fiction. Her novel Remembering Fire is listed in the top ten of the Tarcher/Penguin Top Artist Awards. I encourage you to read more about Paris at her blog at www.weldbham.com or www.wordspinningbykathleen.blogspot.com. Hemingway could not write about Paris while he was there but wrote about Michigan. He wrote that he hoped to write about Paris when he got back to Michigan. I wrote very little while in Paris in July 2012 for twenty-one days. I intended to. I promised an on-going blog for WELD. I promised a blog about writing to Mahala. And I had hoped to expand on the twenty-page worksheet I’d sent to the Spalding U. MFA workshop. But there was too much living to be done in Paris. Too much eating (can you spell macaroons and glace? ); too much to experience for the first time (putting love locks on a bridge over the Seine with a grandson); too many art museums, too much talking to do with my soul mates who also write—not to mention the writing workshop. Toujours perdrix! Too much of a good thing. Literally, always turkey. Heavy sets of double doors intrigue me along the streets of Paris—another opportunity for me to hone my speculation skills for fiction writing. I saw a few doors open into courtyards of homes or flats, but the doors I got to know best in July, two black doors at 4 Rue Chevreuse on the left bank, opened into a sunny courtyard with a rectangular rose garden in the center. One could write a dissertation on doors and gardens alone. On either side of the open courtyard were classrooms belonging to Columbia University and known as Reid Hall. Spalding University’s MFA in Writing Program would be meeting there for their ten-day summer residency. Our hotel, the Trianon Rive Gauche, was located on the Rue de Vaugirard near the Parthenon and several blocks away from St. Michele and the Seine River. The Seine runs northwest across France for 473 miles and empties into the English Channel. What always confused me about the left and right banks of Paris was looking at the map and having the river look like a large horseshoe. Why not the top and bottom banks, or the north and south banks? But, no, confuse this Southern girl and call them the left and right banks. So here it is for you who have a similar confusion: it is the way the river runs, northwest, that dictates the left and right banks; once you’ve figured that out it’s rather simple. I could write this whole blog about the river and its locks of loves on the bridges, the book stalls that line the river, and its boat tours—ah, but we’re about writing here. To get to Reid Hall, you could walk down Vaugirard, turn right on Rue de St. (son as in song) Michele and walk all the way down Rue de Champs Notre Dame, or Montparnasse, parallel streets, and then weave your way toward Reid Hall between those two streets. Or you could take one of several walking paths through the Luxembourg Gardens. We had transportation passes for the bus or the metro, but the walk through the Gardens was not to be missed. It was dizzying with its shaded seating areas, its various fountains, including patron saint Saint Geneviève who saved Paris from Attila’s Huns and ponds, and the profuse flowers. It was a hot walk if you left the shade of the trees. Have you ever seen rows of trees shaped/pruned like shrubs? 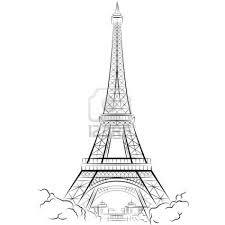 That discussion would take me to the Eiffel Tower and then I’d never get around to discuss writing. Air conditioning is no big deal in Paris but the cool, rainy weather that we woke up to on our arrival changed to something like an Alabama heat wave by mid-residency. So we were happy for third floor windows in Reid Hall, and sometimes a floor fan for comfort.